Have you ever seen a couple that literally light up when each other are around? Well, Carissa and John were like an explosion. Their wedding was filled with joy, laughter, kisses and special moments with their four children. 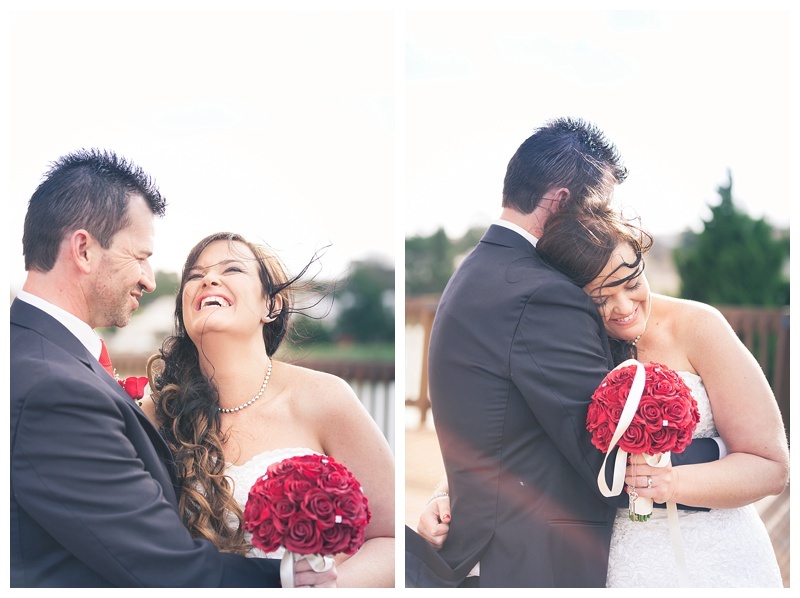 A cold, blustery day did nothing to dampen the spirits of the couple as they were married at Windmill Gardens. Carissa and John were radiant with smiles and laughter the whole day, and their love for one another was obvious to all around (never before have I had to tell a couple to stop kissing!). What I really loved about John and Carissa's ceremony and reception were the unique ways in which they included all their children - John and his two boys, as well as Carissa and her two girls. Each child was included in both the ceremony and the reception - with daughter Paige even making an adorable speech of her very own! It was a privilege to be able to help photograph this wedding for Bright Shadow Photography, and I truly wish Carissa and John all the happiness in the world!